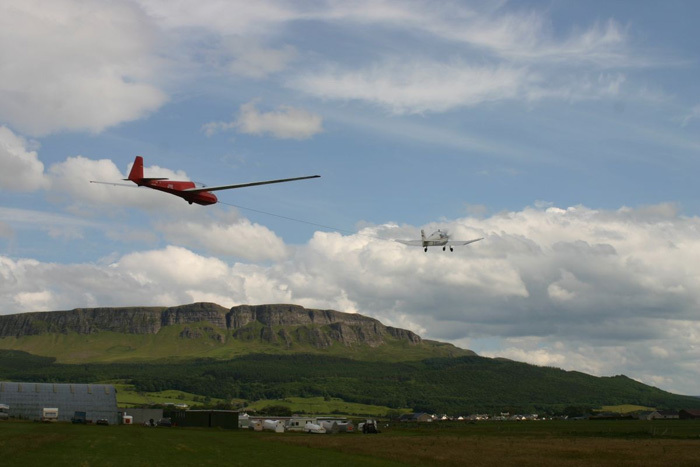 The Ulster Gliding club at Bellarena is one of the finest soaring sites in UK and Ireland thanks to the conditions afforded by its location beneath the cliffs of Binevenagh on the Magilligan Peninsula. From the end of Drumnahay Lodge’s lane, turn left and it’s literally less than 2mins drive away. Formerly and for a significant period 1978-1993, the club occupied a rented site on our farm at Drumnahay. Then in 1993, they were able to acquire their own premises a short distance away which marked a new stage of development and expansion of the club. The club offers training of trial lessons of 1 or 2 day courses. It is a sport that can be enjoyed by all ages. Taking up gliding does not mean you have to become a racing or aerobatic pilot. Many people just enjoy the novelty and thrill of seeing the world from a different perspective whilst acquiring or improving on their basic flying skills. Once you have tasted flight, you will walk the earth with your eyes turned forever skyward, for there you have been and there you long to return” Leonardo da Vinci quoted in the Ulster Gliding Club’s mission statement to inspire all those would be- gliding enthusiasts. Gliders are able to use the same air currents that birds use and the aircraft have been designed with the kind of aerodynamic efficiency that enables speeds up to 170 mph. Distances of over 200miles have been covered from Bellarena in one day with heights up to 20,000ft. The same conditions afforded by the location at Bellarena, under the cliffs of Binevenagh is also very favourable for hang-gliding. From Gortmore Viewing Point at 853 ft, the summit of Binevenagh (accessed from The Bishops Road), often hang-gliders can be seen hovering over Magilligan point. They make a very colourful spectacle against the already magnificent scenery, inspiring awe in many passers-by at the skill and nerve of the participants. The river Roe one of the finest angling rivers in the area is less than 3 mins away. At the end of Drumnahay Lodge’s lane, turn right and continue until you come to Swan’s Bridge, Myroe. Turn right as if to go over the Bridge. There is a very picturesque picnic site here with tables and thatched gazebos. The river can be accessed here and includes a pathway for disabled fishermen. The River Roe rises in the Sperrins and flows for over 50 kilometers through Dungiven and the Roe Valley. 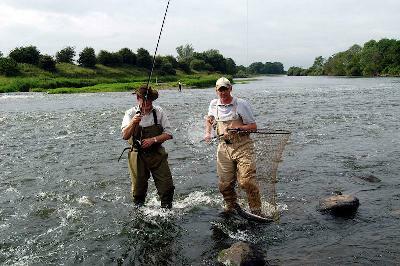 It is a medium spate river that offers good runs of brown trout, sea trout and salmon. The season runs from 20th May to 20th October. Roe valley cycles, Limavady It is possible to hire bikes for touring or racing for a daily, weekly or weekend fee. Kid’s bikes are also for hire. The Bishops road starting at Downhill, travelling over Binevenagh mountain towards Limavady is a favourite route for mountain biking, but only for the fittest. It is possible to enter the Bishops road by taking any of the small roads from Magilligan and Bellarena that lead towards the mountain. The nearest golf club to Drumnahay Lodge is a small golf course at Benone, near Benone Complex which is about 5 mins away, turning left out of the Lodge lane. Castlerock golf course is much larger. The Championship Mussenden Links is a 6700 yard par 73 and its fine points include seaside routing, firm fast greens and the backdrop of stunning scenery wherever you look. There is also a 9 hole Bann course closer to the sea. It is recommended you start with this one in the morning, then after a nice lunch at the Clubhouse you will be ready for the challenge of the championship course in the afternoon. For golf enthusiasts, RoyalPortrush will need no introduction. This is a about a 30mins drive from Bellarena that takes you beyond Coleraine (A2,) then following signs for Portrush a small coastal town, about 3 miles further. The legendary Royal Portrush Golf Club has two Championship courses, the renowned Dunluce course and the small valley course. Both command impressive views across the North Atlantic with breathtaking views of Scotland and Donegal. 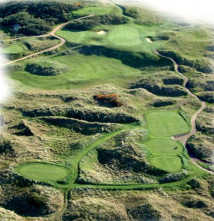 Golf World magazine regularly rates RoyalPortrush in the World’s top twenty golf courses. Quite an accolade!